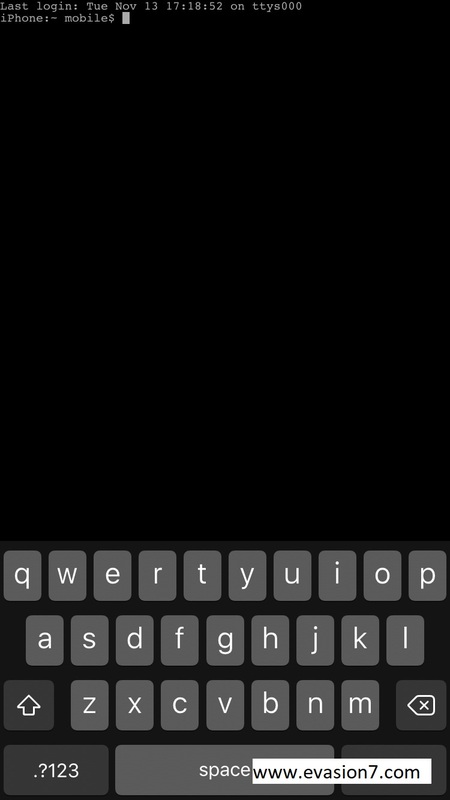 The popular Mobile Terminal which is better known as MTerminal is now updated to iOS 11. This is a quite interesting move to jailbreak fans who are now benefited with Unc0ver Jailbreak. The latest app version is found as 1.4-6 from which iOS 11 jailbroken devices will be able to run powerful commands. So read on and learn about this latest update for your jailbroken iDevice. Jailbreak plays interesting news these days with the successful Electra jailbreak and Unc0ver jailbreak updates. In fact, the recent update to Unc0ver is 1.1.4 from which several troubles have been addressed. It is stable and now gives the support for the complete jailbreak from iOS 11.0 to iOS 11.4 beta 3. Both Electra and Unc0ver follows the semi-untethered jailbreak that runs through Cydia impactor too and the right IPA download. As you might have already known, Mobile Terminal is an on-device command-line interface which is as CLI to jailbreak users in running powerful commands. In fact, this is a very popular item among jailbreak users in the attempt of turning your device into a more powerful source. 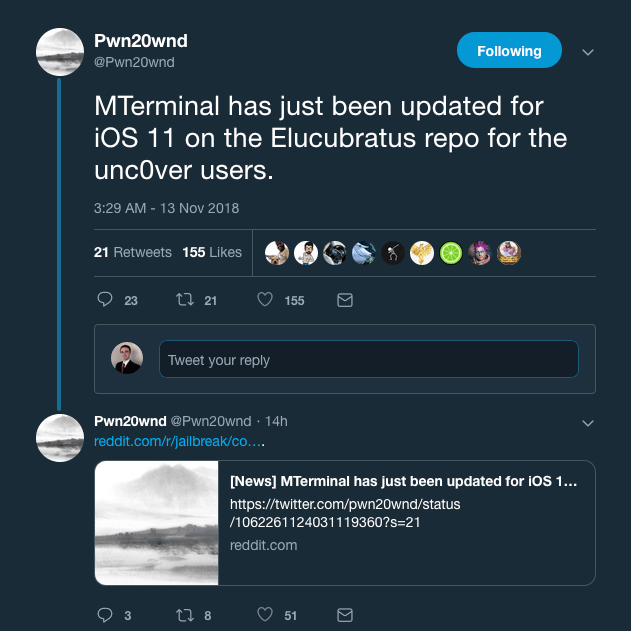 Following the iOS security researcher and developer Pwn20wnd on twitter, we find that MTerminal is now optimized to successfully work with Unc0ver jailbreak. And it is now available in the Elucubratus repository of Cydia store which is also known as the default repository for Unc0ver Jailbreak. If you are an alternative iOS 11 jailbreak user like Osiris or Electra available now, you must be thinking you are out of reach the MTerminal support here. But I must say it is not totally true. In fact, you can also try through jailbreak thread and by trying to install .deb file with respect to the new MTerminal app. But this will require more attempts than the usual. Jailbreak brings various advantages over the stock frame making you feel extremely happy about the decision made. So, fortunately, the new Unc0ver jailbreak is now supported with MTerminal where you can start with powerful commands on your jailbroken iPhone. So, how fun will that be? Share your sincere comments below about telling you to get this new change and updates. And also tell us what is more you are eager to get on your iOS 11 jailbroken iPhone from all Cydia apps and tweaks. Stay tuned to us to get more news on iOS, jailbreak and Cydia Download.